The short account of Vorticism has been added. Also see (off-site) Pound's free translation of the Anglo-Saxon poem The Seafarer, originally published in The New Age (1911). For a French translation of Kerry Bolton's essay, click here. A succinct discussion of literary imagism is here. 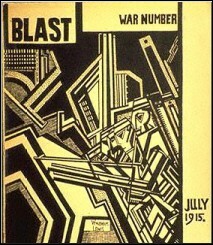 FluxEuropa has a good essay on Wyndham Lewis.